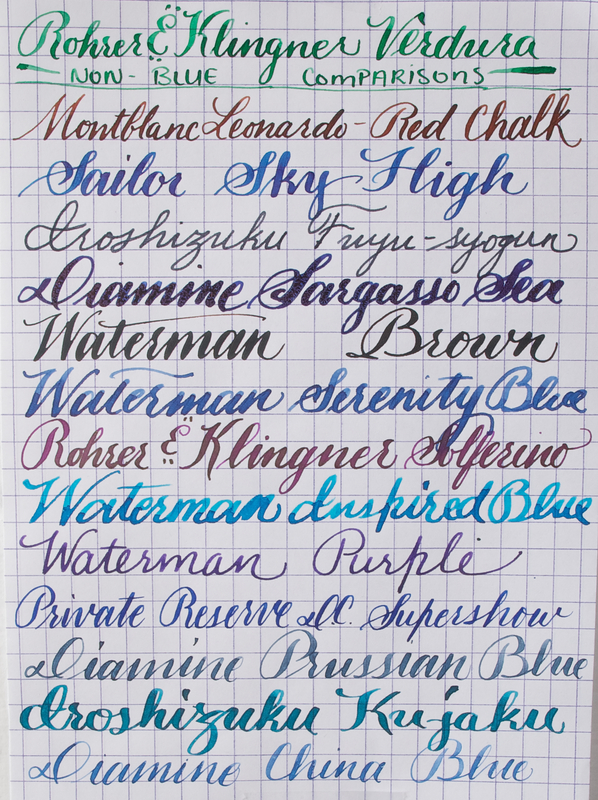 Rohrer & Klingner Verdura – Sponsored By JetPens! 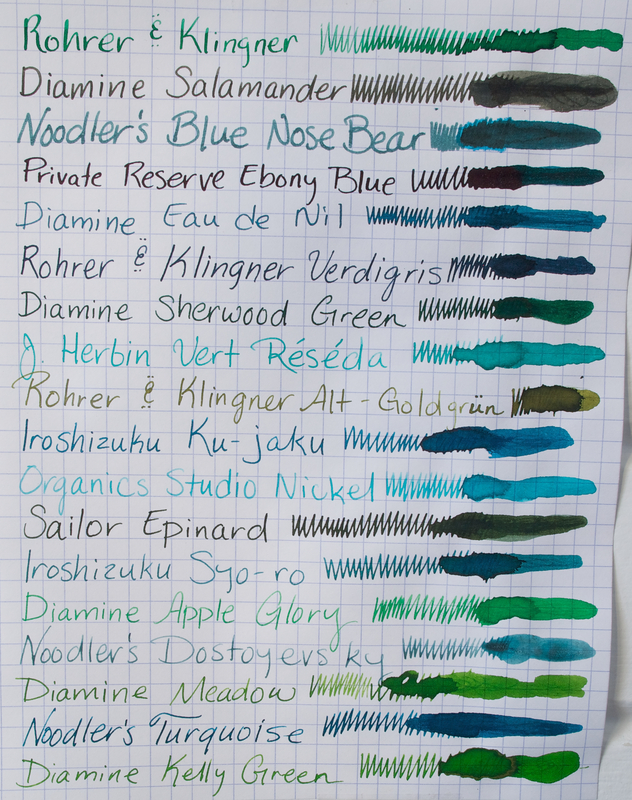 I’m incredibly excited to be debuting my first SPONSORED ink review! The ink for this review was graciously provided by JetPens.com. 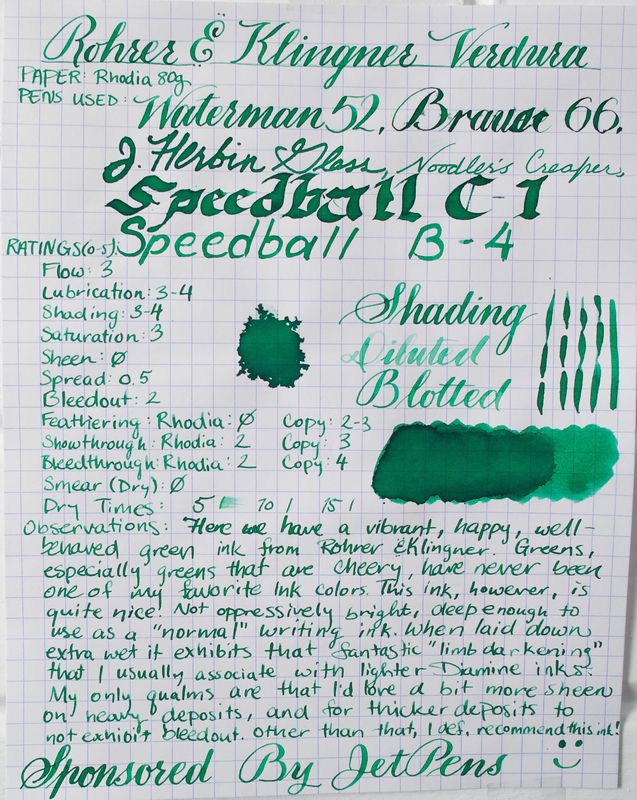 This particular ink is a very bright, happy light(ish) green with good shading and consistent performance. You can find it for sale on JetPens.com, right here. And lastly, the torture tests. 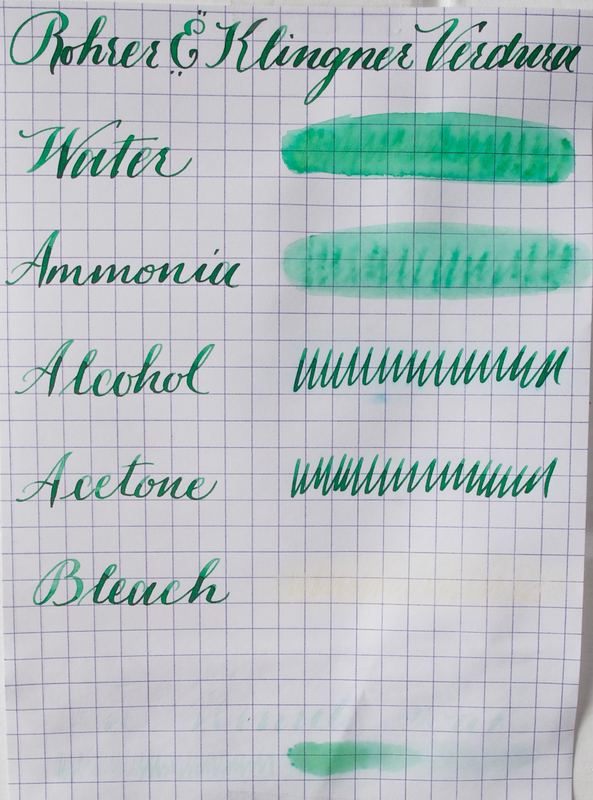 Though it fought admirably against acetone and alcohol, it didn’t fair well at all against water and ammonia (and, of course, bleach obliterated it, but that’s hardly uncommon for most inks). The faint writing on the bottom of the page reads “Ten Minute Soak”. Obviously this ink wasn’t meant for Seattle. So, if I had to nitpick, what would I change about it? Well, I’m a big sheen fan, so obviously I’d love it to have more of that, but the fact that it doesn’t isn’t a negative in and of itself. 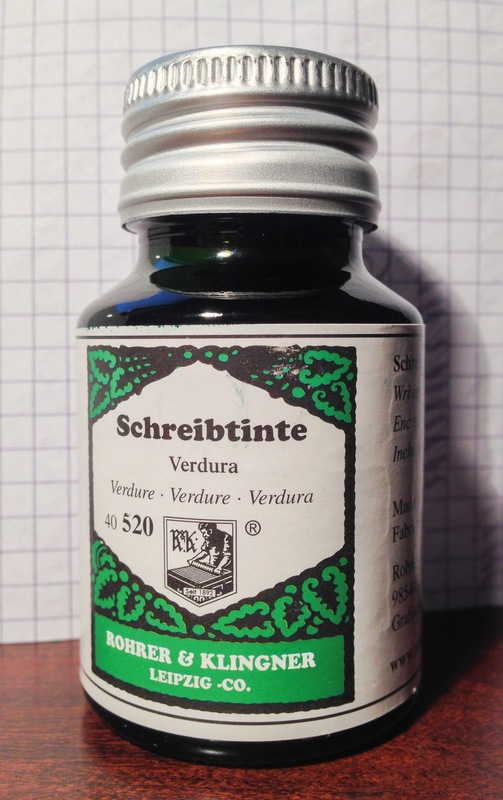 I have found that, with the exception of their iron gall inks, Rohrer & Klingner inks seem to be more prone to feathering than most other “up market” inks, even on Rhodia. Feathering is one thing, but bleedout just annoys the heck out of me (see the “Brause” sample). Again, this seems pretty common with R&K inks. 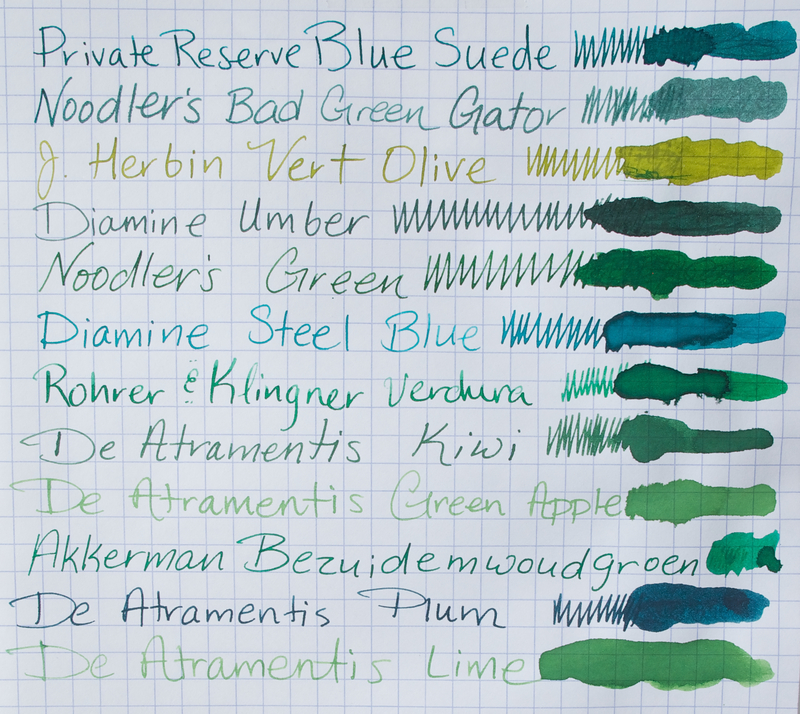 Which greens and blues or blue-black have good “sheen” properties, in your experience?